On the ground floor: Lounge with double glazed windows overlooking the front and rear garden, a dining room and a complete fitted kitchen with double glazed door leading out to the rear garden. On the first floor: Three double bedrooms, with the third currently set up as a kitchen, shower room with separate W.C and a door leading out onto a decked terrace which has stairs leading down to the main garden area. 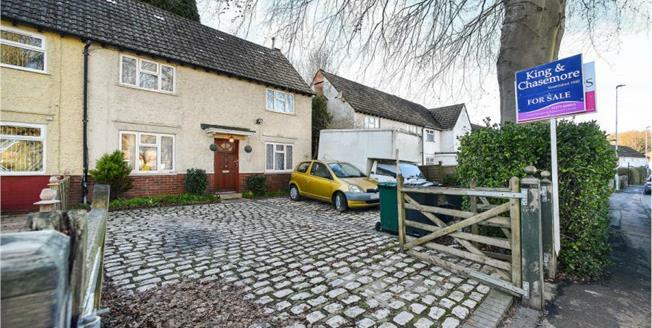 Outside the property: to the front is a large cobbled driveway which can fit multiple cars. To the rear: Is currently set up as a multi tiered garden comprises of grass and patio areas with multiple storage sheds. Towards the rear of the garden is a beautiful woodland.